Common Pierrot is one among the Pierrot butterflies found in Kerala. The below photo was taken from Thattekad Bird Sanctuary in Ernakulam District. The place is rich with not only birds, but also many butterflies and odonates. Photographed on May 4, 2015, with Nikon D7100 & 16-85mm DX lens. While I saw this one, it was basking in the morning sunlight. And was on the leaf of a small plant very close to the ground. So I got enough time to capture a few shots. Will add more photos if I get it from other places also. 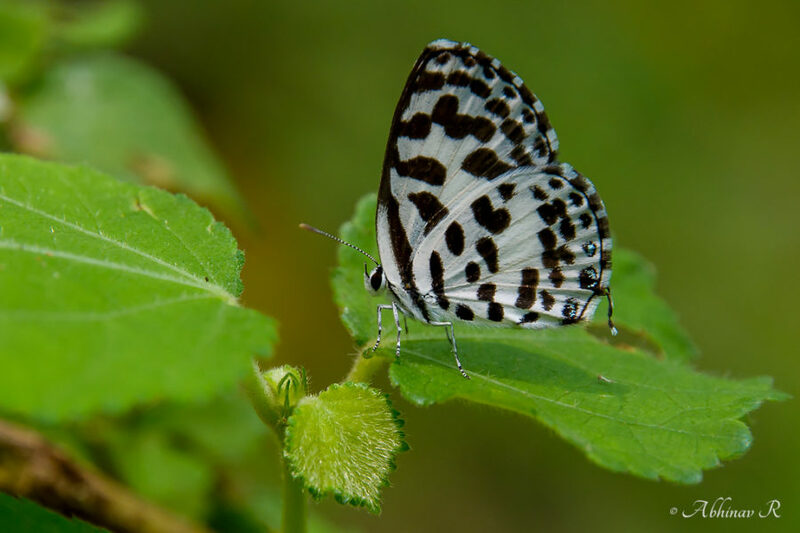 It is a small butterfly from the Lycaenidae family (a.k.a ‘blues’ family). Its color is white with black markings. It can be confused with others; like Dark Pierrot. But the black markings are different. Also see Butterflies & Moths.